The gesture is a response to the so-called ‘Time Capsule’ discovered in a niche of a brick wall of Siberia’s largest aircraft hangar left there 50 years ago by the workers of the original Tolmachevo Aviation Squad. Sibir Technics has been the operator of this facility for the last 14 years. “We are addressing you in full confidence that Tolmachevo Airport, which we have been creating for 10 years, will become the best and most beautiful in the entire Siberia region,” reads the original message dated 1968. The inspirational contents of the ‘Time Capsule’ from the past were revealed during the celebration of Sibir Technics’ 14th birthday on November 20 this year. Along with the message, the capsule also contained several issues of industry newspaper Krylya Sovetov (Soviet Wings) published in 1967 and 1968, as well as a number of photographs of that era and a report. The successors of that Tolmachevo aircraft maintenance base, today’s 600-strong workforce members of Sibir Technics, are respecting those traditions and standards laid down in Novosibirsk more than 60 years ago. “In far-off 1968, the young men of the aviation squad, the founders of Tolmachevo airport, secreted this ‘Time Capsule’ inside a hangar wall, sending a message to their descendants. It told about their life and their achievements and they left historic material and photographs telling the story of the construction of the airport and the maintenance base, and they passed on their hopes for the future. Dwelling on this good tradition started by the young aviators of the 1960s, we decided to lay the next ‘Time Capsule’ in the hangar building. Placed on the 14th birthday of our company, it will be opened in 2064,” Igor Kurilov, general director of Sibir Technics, announced at the ceremony. “Over the past decades, Tolmachevo Airport has transformed into a large international transport hub, now serving millions of passengers every year. “The aircraft maintenance base in the meantime became an independent entity and was transformed into Sibir Technics on November 16, 2004, which has since been considered the birthday of our company. Today, Sibir Technics’ 11,000 square-metre hangar and overhaul facility is capable of providing maintenance on four aircraft simultaneously. Our future plans include the design and construction of a second hangar complex,” Kurilov added. 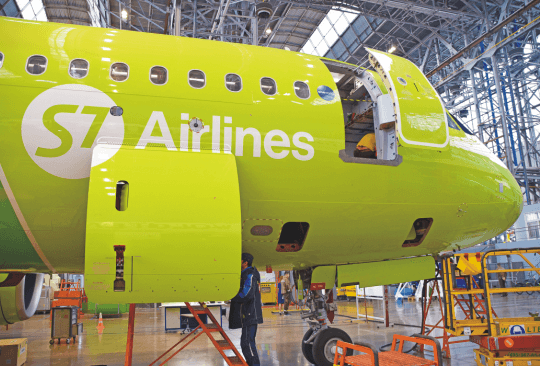 During its years of development, S7 Technics’ Siberian site has steadily built up its capabilities for the maintenance of a wide range of Boeing, Airbus and Embraer aircraft. Under its own EASA Part 145 approval Sibir Technics now provides line and base maintenance on Airbus A310/A320, Boeing 737 CL and NG/757/767 wheels and brakes repair and is continuously expanding the list of aircraft components it services. Sibir Technics is unique in that it is Russia’s only maintenance organisation that offers the full aircraft modification cycle on western-built airliners. In 2011 it won its EASA Part 21G approval for the production of aircraft components and three years later was awarded EASA Part 21J accreditation for design, modifications and repairs on aircraft passenger cabins. In 2015 the company’s test lab became qualified for the conduction of fire resistance tests on aircraft cabin interior materials. Apart from EASA Part 145, Part 21G and Part 21J accreditation, Sibir Technics also holds more than a dozen other certificates. For example, in May 2016, it was awarded a direct approval of the aviation authorities of Bermuda (BCAA) OTAR-145 Option 2, making it eligible to provide maintenance services on aircraft registered under that jurisdiction. 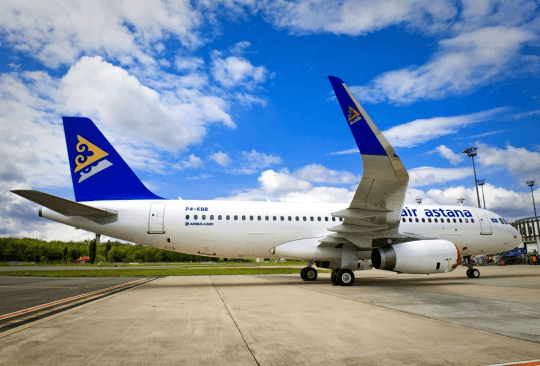 In 2017 and 2018 Sibir Technics became the first in Russia to start providing line maintenance on the Embraer E170, Airbus A320neo and Boeing 737 MAX types. Today, S7 Technics’ Tolmachevo base also holds approvals from the aviation authorities of Russia, the USA and several CIS countries. 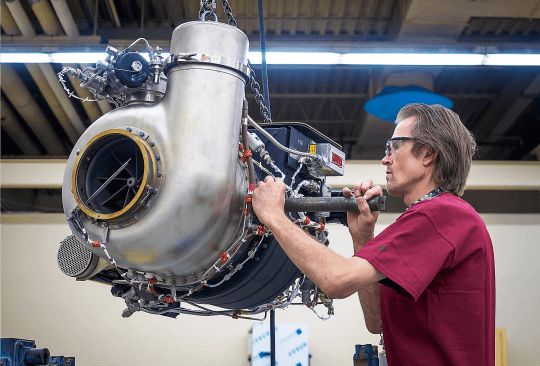 It is in the process of implementing lean production techniques that are vital for MRO businesses and new information systems. This year, Sibir Technics is predicting a double-digit growth rate in its labour-hours. In total, between 2005 and October 2018, the company’s personnel have achieved more than 8.6 million labour-hours and completed some 350 individual evaluations equal to C-checks.